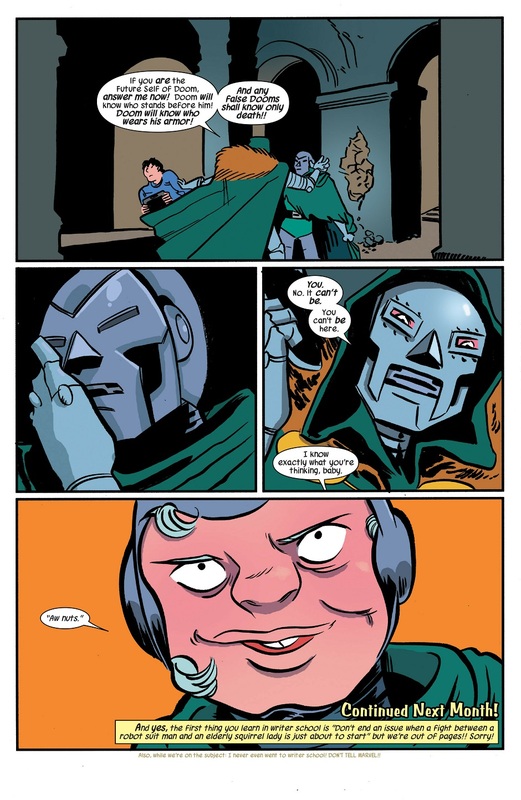 oh man, Doom stands no chance. 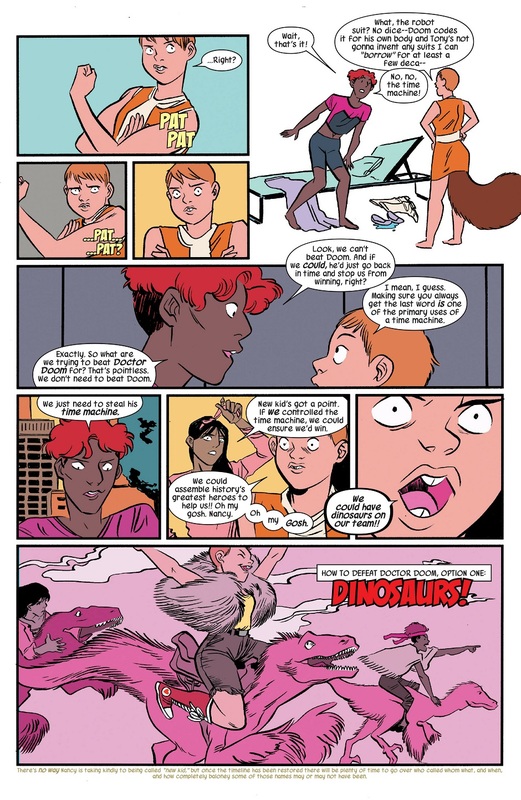 A young and still learning squirrel girl? you have a one-in-a-thousand chances of maybe escaping. 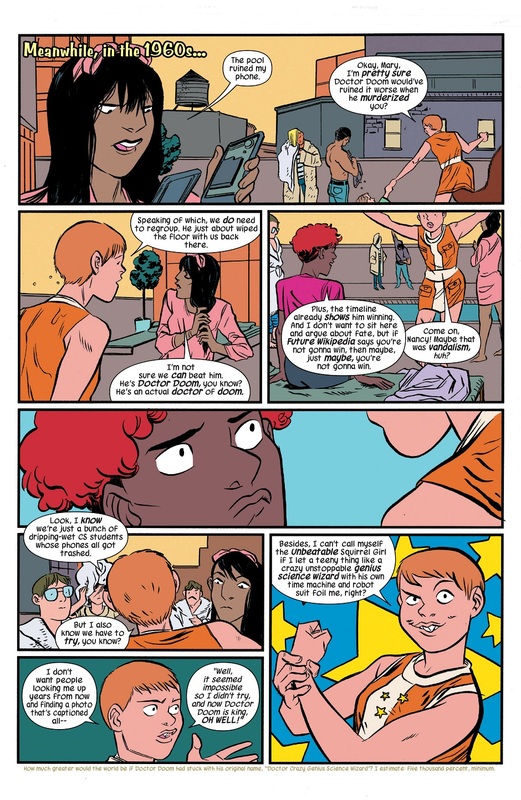 but an experienced, fully fledged Squirrel Girl? there is NOTHING that can save you. 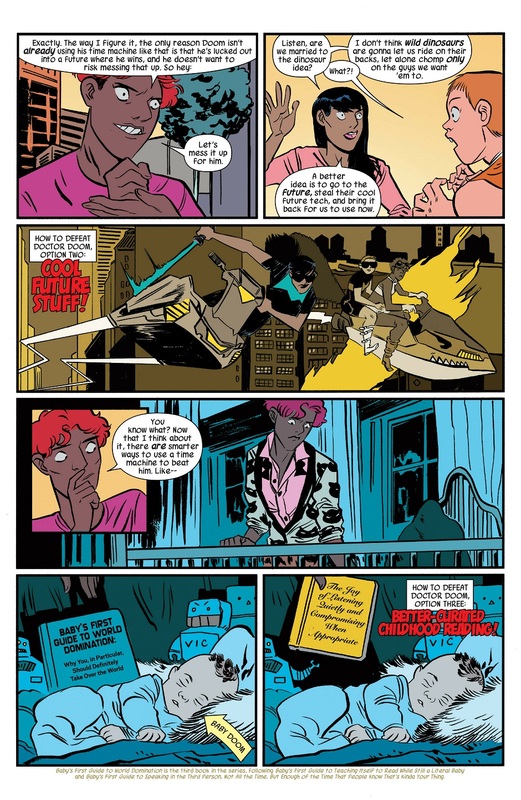 I want to see Mary and her nuke fascination as the next supervillain! 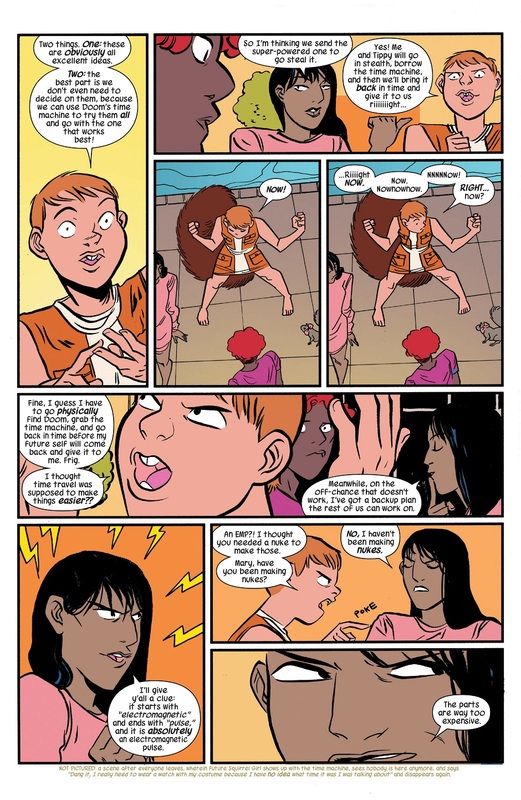 And the fight will happen off screen like every Squirrel girl battle with her victorious. How thrilling. Spoken like someone who's not even reading the book. Don't judge. No, it won't. 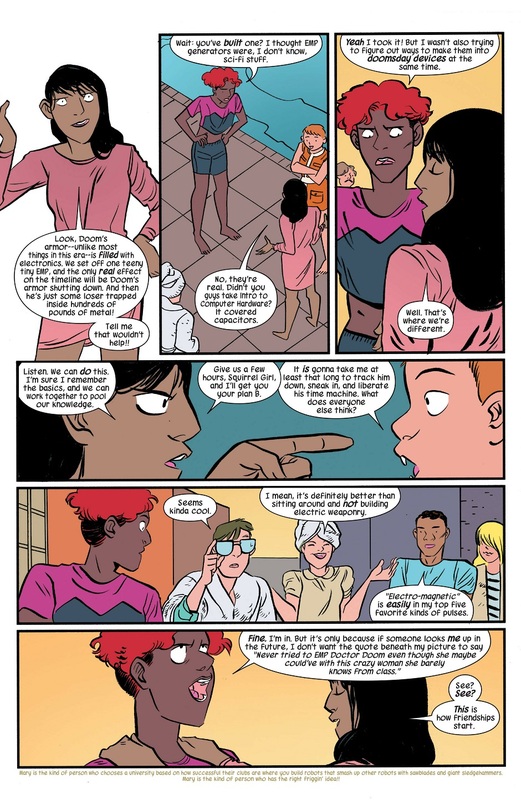 I've already read issue #5. 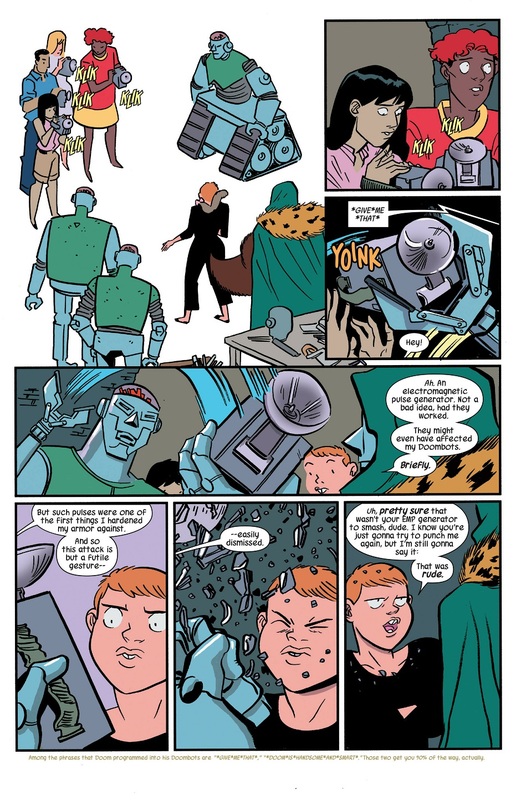 Ryan and Erica don't do that with any of the main villains in Squirrel Girl stories: it's a rule for them. Isn't that her whole appeal being a one joke character Slott made her famous for it, why change it now. 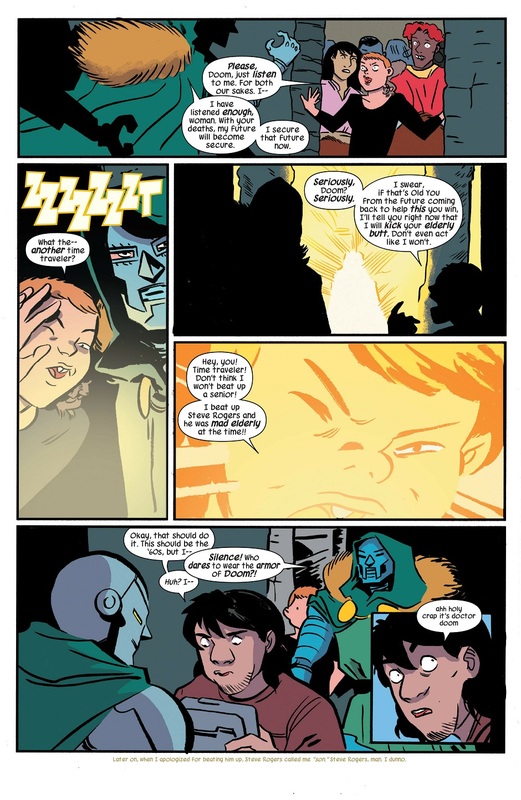 Probably because after the second or third time Slott did it, people started to roll their eyes and say "How thrilling." Well limbo is a far better fate than being killed off. ...Yes... but... having your own successful series is... a better fate than... either? You were quite correct that a character who just jump-cuts through her big fights would not be a thrilling character! 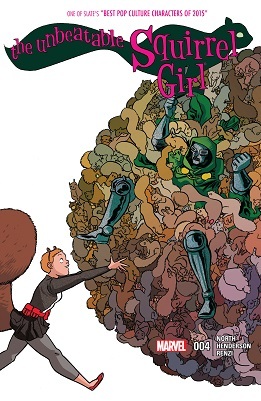 But Squirrel Girl hasn't been that for some time if she ever was, and you can find that out pretty easily, or just look at the scans above where she's actually fighting Doctor Doom instead of jump-cutting him. The only fight like that in this whole book was the one against the mind-controlled Avengers. I was never even a fan of that game and I was thinking "naaaa na na na na na na....."